Nature Pisum Extract, stimulates the ability of cells to regenerate and boosts the functions of the epidermis.Exclusive Triple Radiance, combining Gold Repair Complex and two chromo-active plant fractions, targets and corrects color imperfections such as dark spots, redness or dull complexion. The complex sugar S-Glycan accelerates cells' natural self-repair and self-protection processes. The skin matrix is fortified. Skin is more dense and toned. Wrinkles are diminished and features smoothed. Skin texture is refined, pores are tightened. 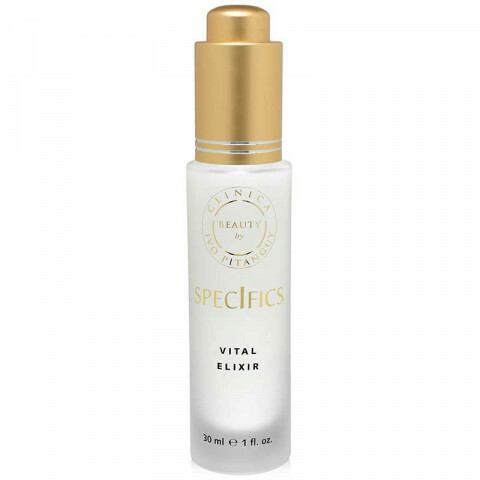 Vital Elixir restores life to the skin and reveals its original radiance. The luminosity of the complexion and the perfection of the skin give the face a newfound youth.